I remember the Fossil deck. Had so much synergy. 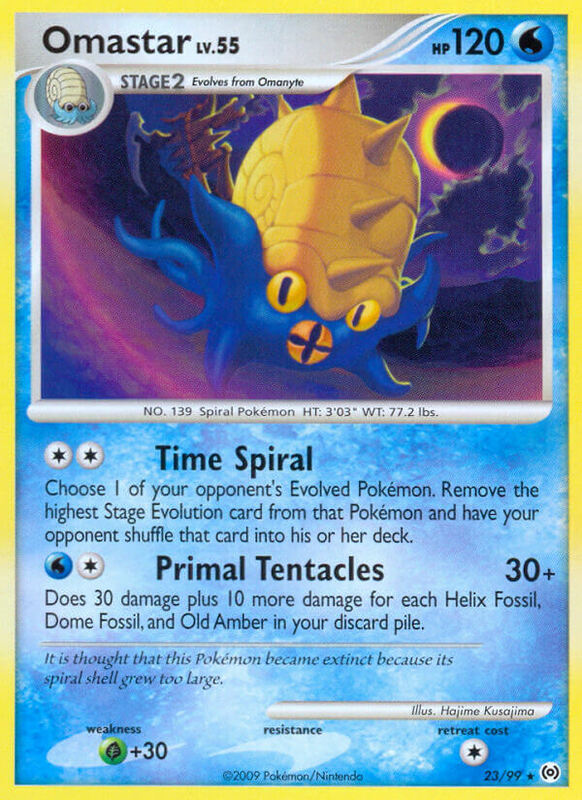 Aerodactyl to get Fossils, Kabutops to discard them, and this to hit heavy. The Stage Ones had really good attacks and powers that worked with the deck amazingly, and there was even a rule that said that if my Fossils were in play, I could discard them at any time. Worked so well. So why didn’t it work better? Well, Trainer Lock and SP existed. Vileplume’s Poke-Body Allergy Flower reads: You can’t play half your deck. i REALLY hated MD on.